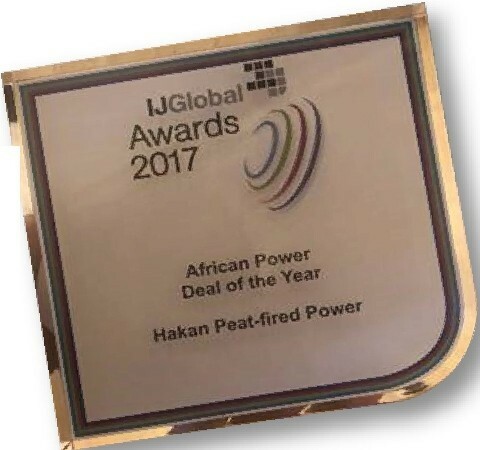 HQ Power was awarded “African Power Deal of the Year 2017”. 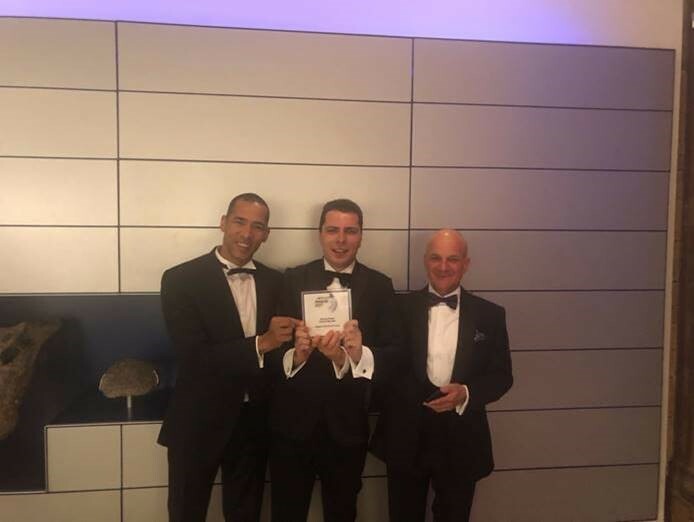 HQ Power has been awarded the Africa Power Deal of the Year in the Infrastructure Journal Global Awards 2017 in a ceremony held in London, England. 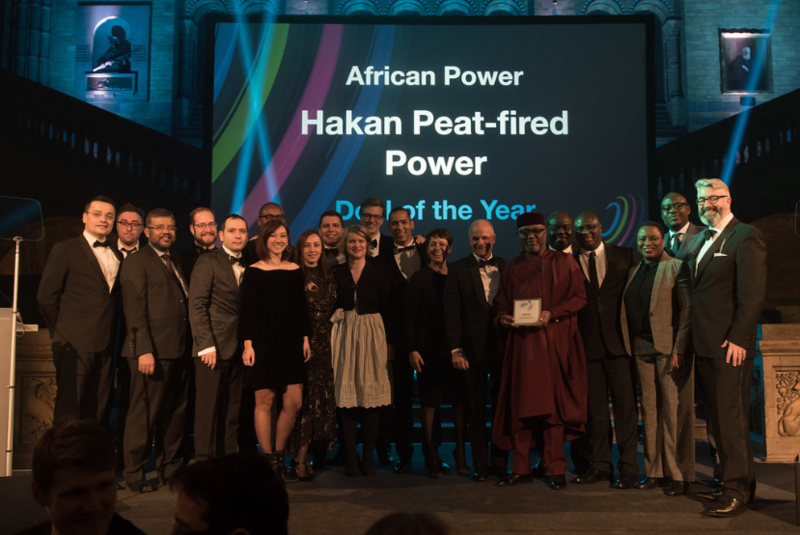 HQ Power being the first project of its kind in Africa (first peat power project in Africa) expected to increase 40% of national power capacity and it will bring more energy to the Country since it will use 100% of domestic fuel leading to reduction of imports. The plant is located in the southern province, Gisagara district. The project will have 80 MV capacity and is expected to one of the biggest power plant in Rwanda when production starts in 2020. This will contribute to the country target of achieving 512 MV of installed power capacity by 2023/24 from 210.9 MV in 2017 as per the Rwanda Development Board numbers. This will improve access to electricity for the local population and promote a much need investment for a country which has been showing steady growth for the past 20 years. HQ Power Project is owned by Hakan AS, a Turkish Energy Company and QUANTUM POWER, an international power company and THEMIS a project development company. Included lenders are AFC (Africa Finance Corporation) which served as the lead arranger for the debt, and other lenders like Finnfund, Trade and Development Bank (TDB), African Export-Import Bank, and the Development Bank of Rwanda. Africa Energy & Infrastructure Investment Forum (‘AEIIF’) is part of IJ Global’s Energy & Infrastructure Forums series focusing on opportunities in Africa, exploring successful approaches for mitigating risks and unlocking the huge potential of energy and infrastructure investments in Sub-Saharan Africa. 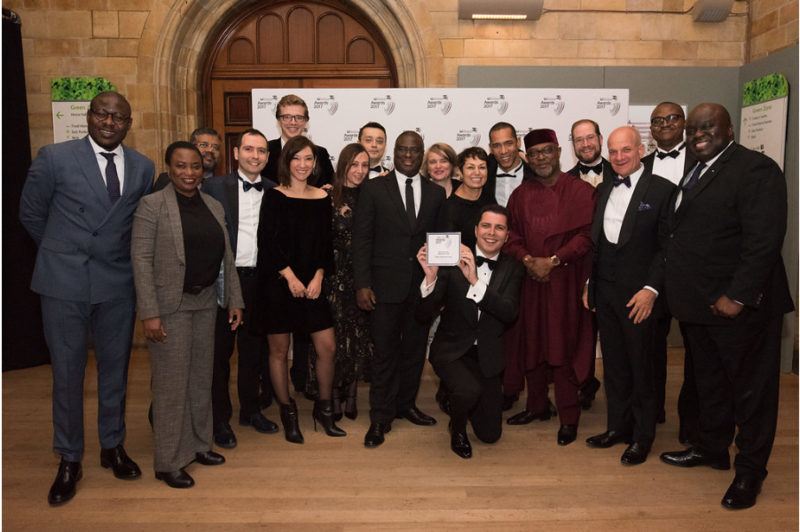 The award itself recognises an outstanding energy or water deal that has reached financial closure between 1 January 2017 and 31 December 2017, judged by a panel of leading industry experts. “We have to build it though. This means nothing without execution. Counting on every single person here to make it” said the Chief Executive Officer.